What's the Best Eye Cream for Dark Circles? We Break It Down. What’s the deal with your eye cream for dark circles? Is it really working? Figure it out below. 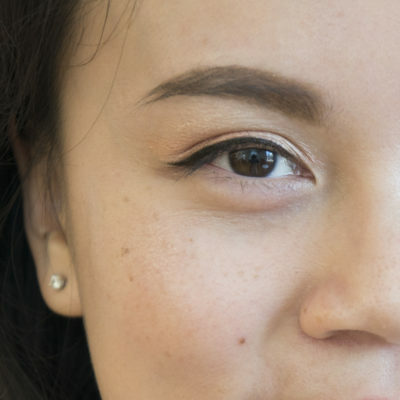 Dark circles, under eye circles, panda eyes—whatever you call it, they’re frustrating. There are so many creams, serums, and even masks out there that claim to lighten dark circles, but do they really work? Keep reading to find out. Contrary to popular belief, dark circles are a pretty complex topic and when it comes down to it, there is no miracle solution to immediately brighten your under eyes. We usually see eye creams being touted as brighteners, but can they really erase your dark circles? The truth is that it all depends on what type of dark circles you’re suffering from. There are a variety of factors that can be the cause of why your dark circles occur in the first place and it’s imperative that you identify what type you’re suffering from to combat them effectively. Confused? No worries! Keep reading to find out the different types and the best ways to treat them. I know you’ve probably heard this before, but here it goes: Lack of sleep and a poor diet can lead to dark circles. While this is true, do you know why this happens? The eye area has much thinner skin than the rest of your face so when your blood vessels swell from irritation (like lack of sleep), they become visible and project an unwelcome darkness that can make your skin appear dull and tired. The good news is that this type of dark circle is quite easy to remedy, unlike some of the more complicated issues on this list. All you have to do is catch up on sleep, exercise regularly, and balance your diet with healthy foods. But to really help speed the healing along, you’ll want to have have a nourishing eye cream in your arsenal that’s packed with brightening ingredients to soothe your delicate eye area while you get the rest of your life in check. 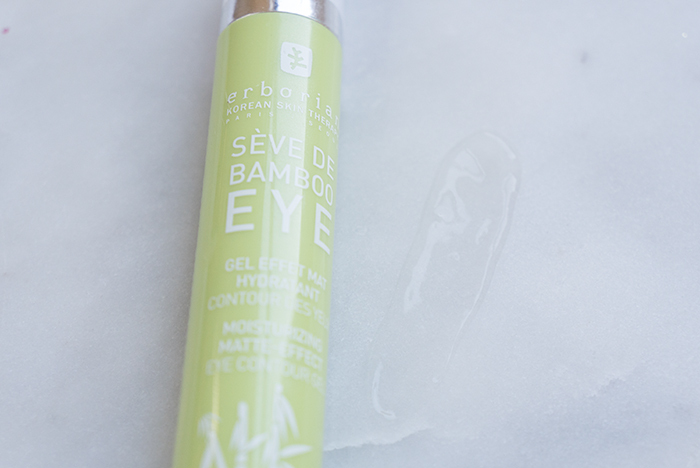 The Erborian Seve de Bamboo Eye Matte is meant to visibly reduce signs of fatigue, such as fine lines, dehydration, and of course, dark circles. To clarify, this eye cream won’t instantly change your life; you’ll still need to balance your diet so you can heal internally while the eye cream can help to nourish and soothe your under eye area from the outside. This cream is formulated with bamboo sap, which helps to intensely hydrate the skin, as well as bamboo fiber, which works to lock in the moisture, diminishing the look of fine lines and wrinkles, ultimately working to keep you looking youthful and refreshed. Plus, it has a matte finish that will further work to soften the appearance of darkness. Unfortunately, there are certain times that the reason you have dark circles simply comes down to genetics. Sometimes dark circles are actually hereditary and you’ve likely suffered from them since you were little. In this instance, this type is caused by an overproduction of melanin that leads to a darkened appearance under the eyes. Joshua Zeichner, the director of cosmetic and clinical research at Mount Sinai Hospital in New York City, clarifies that dark circles can occur “because of an accumulation of pigment as well as the development of hollowness that casts a shadow, or thin skin that allows blood vessels under the skin to be prominently seen.” This can also be a result of your bone structure. “Genetically, some people do not have a smooth transition between the under eye and cheek, giving a hollow appearance that looks like a dark circle,” says Zeichner. The best way to combat this is by using an eye cream that contains brightening ingredients to help to inhibit the production of melanin. Some of the most popular ingredients for this are vitamin C, hydroquinone, kojic acid, arbutin, and licorice extract as they work to inhibit tyrosinase, an enzyme that’s important for the development of skin melanin. 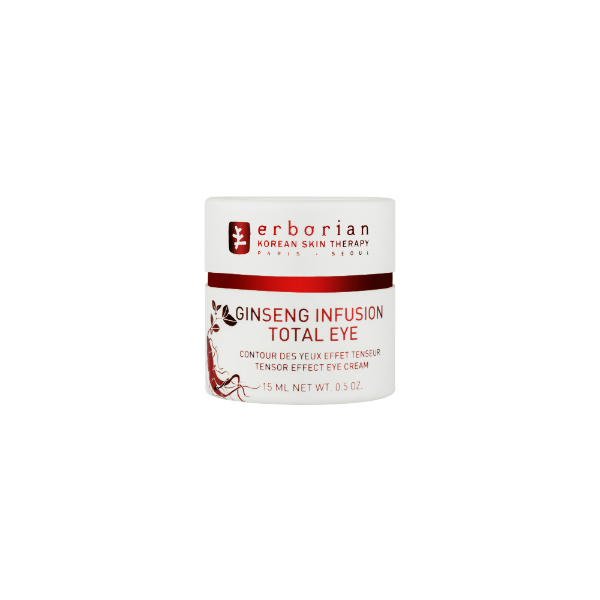 A great eye cream to try is the Erborian Ginseng Infusion Total Eye because it contains licorice root extract, an excellent brightening ingredient that will help to target and prevent melanin production. 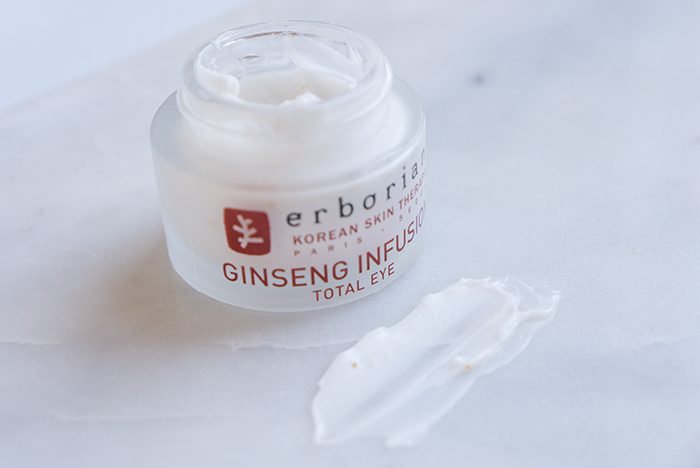 This Erborian cream also has shea butter, centella asiatica, and ginseng, which will help to revitalize and moisturize the eye area. Keep in mind, though: This eye cream won’t be a permanent solution for those who suffer from genetic dark eye circles, but it will help to reduce it for those who don’t have the money to spend on fancy lasers. Here at The Klog we are adamant about using sunscreen every single day and it’s with good reason. Extended unprotected sun exposure can lead to skin damage that will likely result in spots of pigmentation and darkness under the eyes that are hard to get rid of. This is why it’s imperative to use sunscreen on a regular basis so you can prevent this pigmentation from occurring in the first place. But if you already have these issues, there is still hope. Beyond making sure to use sunscreen regularly, you’ll want to invest in an eye cream that will help to brighten the sensitive under eye area. 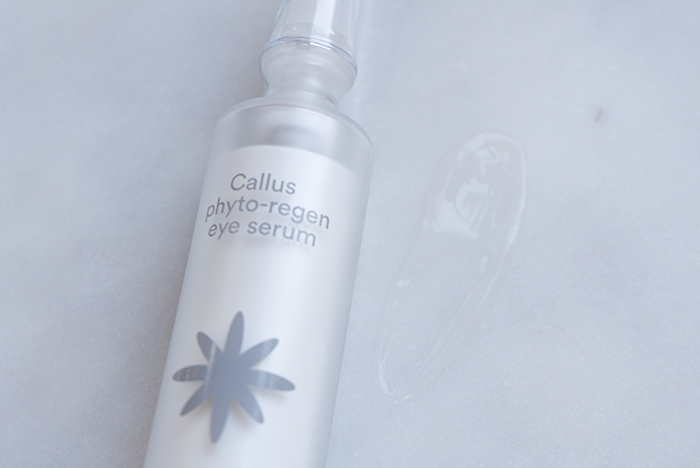 The Enature Callus Phyto-Regen Eye Serum is packed with edelweiss flower extract, adenium flower extract, hyaluronic acid and birch juice, which work together to brighten and hydrate tired skin. 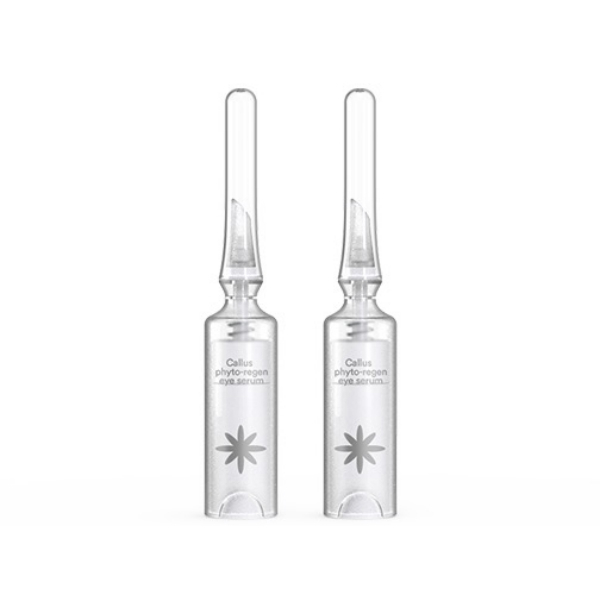 Plus, this unique eye treatment is actually an eye serum which makes it lightweight so even those with oilier skin types can use it with ease. While wisdom can come along with aging, there are also the unfortunate wrinkles and loss of elasticity as well and this can actually play a role in how noticeable your dark circles are. The eye area is contains some of the most thinnest skin on your face, which is why you should treat it delicately. But as we age, the skin can thin even more as a result of a decrease in collagen and subcutaneous fat. The thinner the skin gets, the more apparent your dark circles can become. 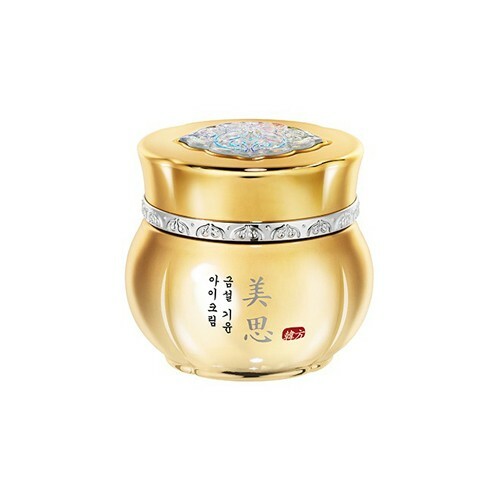 So, you’ll want to look for an eye cream that deeply nourishes the skin and works to alleviate the signs of aging, such as the Missha Geum Seul Misa Vitalizing Eye Cream. 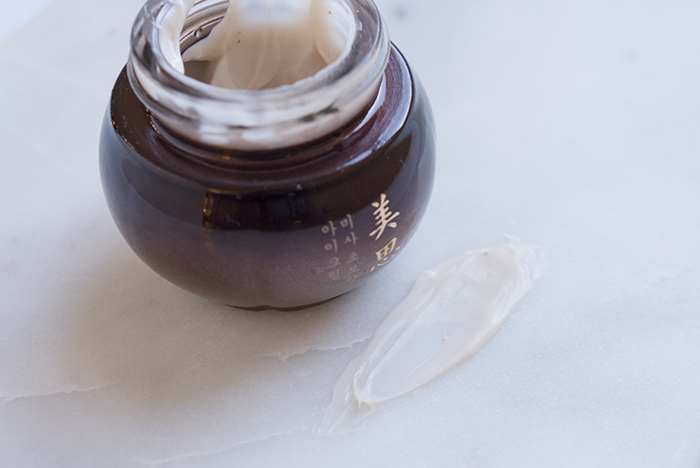 This rich cream is formulated with Korean traditional herbal medicine in mind, featuring ginseng water, wild ginseng extract, deer antler extract, reishi mushroom, along with arbutin, licorice root and saccharomyces ferment filtrate to moisturize and revitalize tired eyes. You can also choose to use serums with retinol, like the Missha Time Revolution Night Repair Ampoule, underneath your eye cream. “Thin skin can be made thicker by ingredients like retinol that stimulate collagen to strengthen the skin foundations,” says Zeichner. But you’ll want to be extremely careful when doing this since you don’t want to place any serum with retinol too close to the eye. Proceed with caution and gently apply it to the under eye making sure to keep a safe distance from your water line. The reasons behind why we suffer from dark circles are complicated, and like most things in skin care, there is no singular, miracle solution to keep them at bay. The most important thing you can do is identify the type you are suffering from and supplement that with an appropriate eye cream that can help to alleviate the darkness. For more serious dark circle issues, you’ll want to contact your dermatologist to discuss more permanent solutions, especially for those who suffer from hereditary pigmentation or hollowness, which is much harder to get rid of. +Have you experienced good results from an eye cream for dark circles? Let us know in the comments below.